Material: Outer fabric: 100% Nylon. Filling: 90% Down, 10% Feathers. Lining: 100% Nylon. 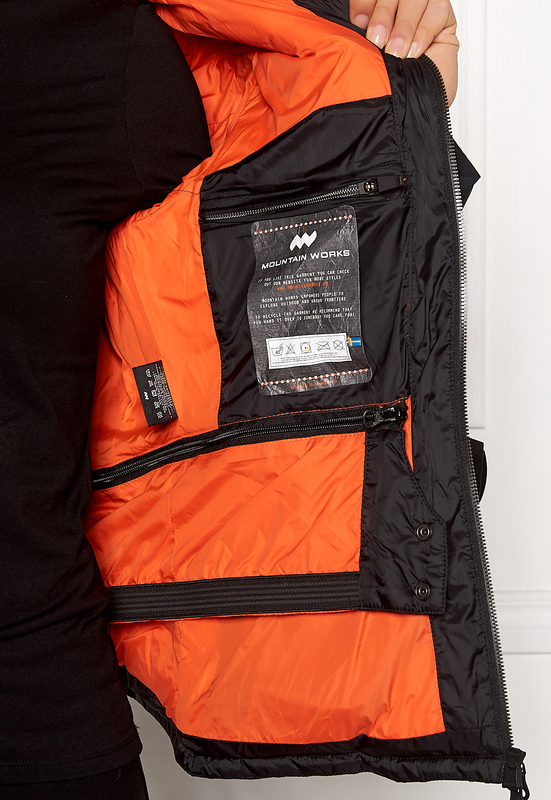 Wonderful down jacket from MOUNTAIN WORKS. 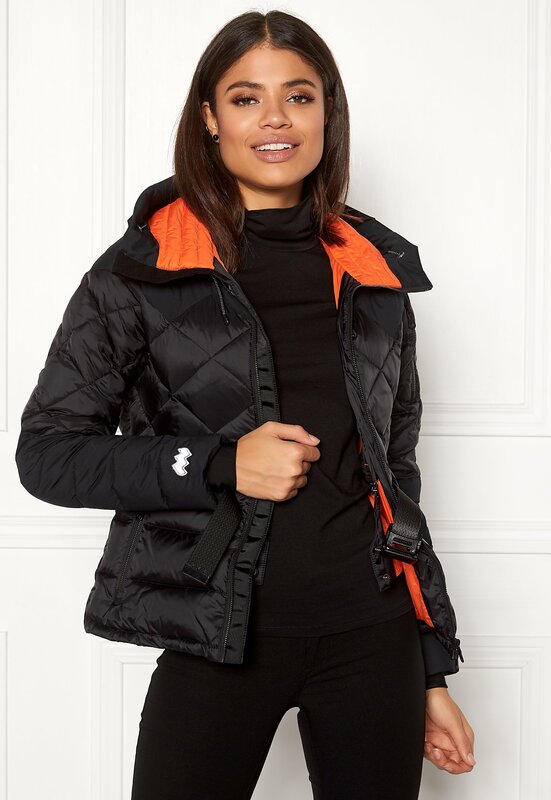 The jacket combines trendy design with functionality and inspiration from extreme outdoor clothing. 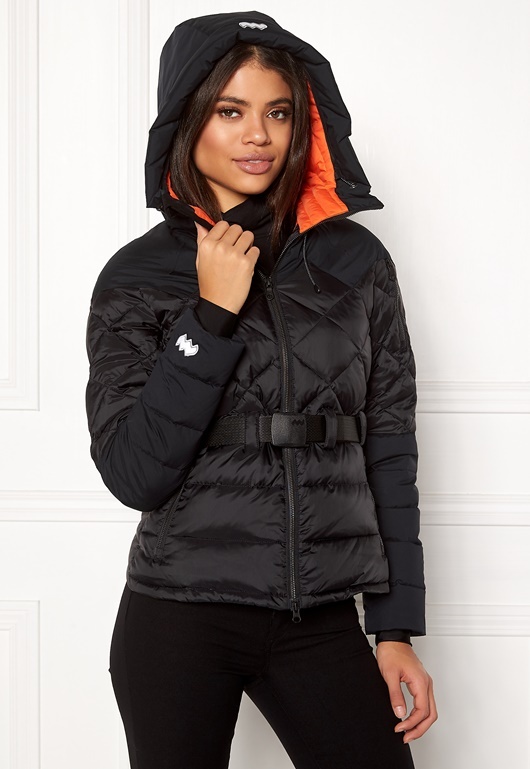 - Front zipper - Drawstring hood - Belt - Two zippered front pockets - Zippered inner pocket - Zippered sleeve pocket - Cuffs - Extra protection with elastic and closure on lower hem - Colored lining - Reflector logo on hood Back length from shoulder 55 cm, bust 94 cm, sleeve length from shoulder seam 58 cm. The model is 176 cm tall and wears a size S. Machine wash at 40 degrees. Tumble drying with tennis balls is recommended.